1. Uses And Disclosures We May Make Without Written Authorization. Healthcare Operations. We may use or disclose your information for certain activities that are necessary to operate our practice and ensure that our patients receive quality care. For example, we may use information to train or review the performance of our staff or make decisions affecting the practice. •	To avoid a serious threat to your health or safety or the health or safety of others. •	As required by state or federal law such as reporting abuse, neglect or certain other events. •	As allowed by workers compensation laws for use in workers compensation proceedings. •	For certain public health activities such as reporting certain diseases. •	For certain public health oversight activities such as audits, investigations, or licensure actions. •	In response to a court order, warrant or subpoena in judicial or administrative proceedings. •	For certain specialized government functions such as the military or correctional institutions. •	For research purposes if certain conditions are satisfied. •	In response to certain requests by law enforcement to locate a fugitive, victim or witness, or to report deaths or certain crimes. •	To coroners, funeral directors, or organ procurement organizations as necessary to allow them to carry out their duties. 2. Disclosures We May Make Unless You Object. •	To a member of your family, relative, friend, or other person who is involved in your healthcare or payment for your healthcare. 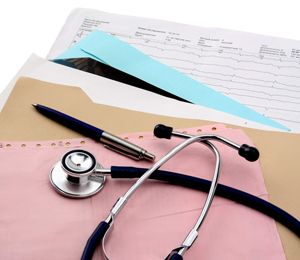 We will limit the disclosure to the information relevant to that person's involvement in your healthcare or payment. •	at anytime by notifying the Privacy Officer identified below. 3. Uses and Disclosures With Your Written Authorization. Other uses and disclosures not described in this Notice will be made only with your written authorization, including most uses or disclosures of psychotherapy notes; for most marketing purposes; or if we seek to sell your information. You may revoke your authorization by submitting a written notice to the Privacy Contact identified below. The revocation will not be effective to the extent we have already taken action in reliance on the authorization. 4. Your Rights Concerning Your Protected Health Information. You have the following rights concerning your health information. To exercise any of these rights, you must submit a written request to the Privacy Officer identified below. •	You may request additional restrictions on the use or disclosure of information for treatment, payment or healthcare operations. We are not required to agree to the requested restriction except in the limited situation in which you or someone on your behalf pays for an item or service, and you request that information concerning such item or service not be disclosed to a health insurer. •	We normally contact you by telephone or mail at your home address. You may request that we contact you by alternative means or at alternative locations. We will accommodate reasonable requests. •	You may inspect and obtain a copy of records that are used to make decisions about your care or payment for your care, including an electronic copy. We may charge you a reasonable cost-based fee for providing the records. We may deny your request under limited circumstances, e.g., if we determine that disclosure may result in harm to you or others. •	You may request that your protected health information be amended. We may deny your request for certain reasons, e.g., if we did not create the record of if we determine that the record is accurate and complete. 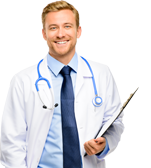 •	You may receive an accounting of certain disclosures we have made of your protected health information. You may receive the first accounting within a 12-month period free of charge. We may charge a reasonable cost-based fee for all subsequent requests during that 12-month period. •	You may obtain a paper copy of this Notice upon request. You have this right even if you have agreed to receive the Notice electronically. 5. Changes To This Notice. We reserve the right to change the terms of this Notice at anytime, and to make the new Notice effective for all protected health information that we maintain. If we materially change our privacy practices, we will post a copy of the current Notice in our reception area and on our website. You may obtain a copy of the operative Notice from our receptionist or Privacy Officer.